The Beatles 50 Years Ago Today: December 17, 1967. Beatles Radio: The Beatles, Solos, Covers, Birthdays, News The Fab 4 and More! 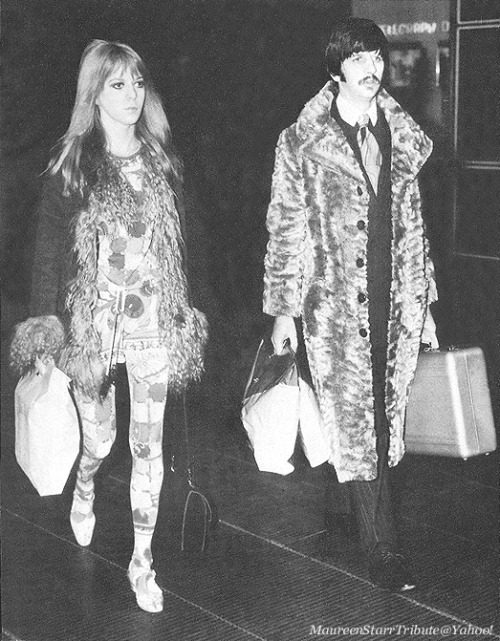 Here we see Maureen and Ringo carrying gifts for their sons at Leonardo da Vinci Airport in Rome departing for London after Ringo completed filming his role in Candy.